Win a share of €20,000 in cash prizes! Race into the weekend and go to the top in this thrilling Quickspin tournament where a total of €20,000 in cash prizes are up for grabs. Just click the “Let’s Go” button on the promotion page and play your heart out on the selected games to earn points towards the leader board, just by winning. Finish in the TOP360 to be a cash prize winner. Start spinning! Ready for a thrilling slot race that runs all the way to Sunday? 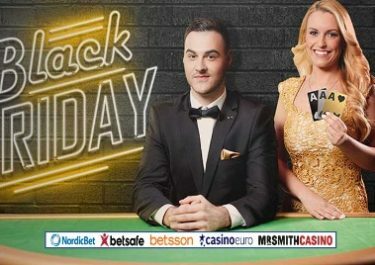 Then take part in a 4-day tournament at Betsson with five Quickspin games and a cash prize pool of €20,000 at the center of attention. Collect points until 23:59 CET on 27th January 2019 by collecting scatter symbols and entering the free spins round. The TOP360 will win a share of cash prize pool. Eligible Games: Ivan and the Immortal King, Tiger’s Glory, Big Bad Wolf, Sakura Fortune or Eastern Emerald. Follow your progress on the leader board which is updated daily by 18:00 CET, except weekends. Final update on 28th January 2019 at 18:00 CET. The TOP360 will have their cash prizes credited by the same time. Cash Prizes: 1st – €2,500 | 2nd & 3rd – €1,500 | 4th to 6th – €1,000 | 7th to 10th – €500 | 11th to 20th – €250 | 21st to 40th – €100 | 41st to 70th – €50 | 71st to 110th – €25 | 111th to 360th – €10. All cash prizes will be credited with no wagering requirement on 28th January 2019. Winners will be notified via email or Betsson inbox message. Terms and conditions apply.